A target fund is a fund of funds that holds a diversified portfolio of individual mutual funds or exchange traded funds (ETFs), or a combination of mutual funds and ETFs. The target fund managers choose the particular combination to create an asset allocation that's designed to meet a specific long-term investment objective. In most cases, the funds that are included in the fund of funds are part of the sponsor's family of funds. 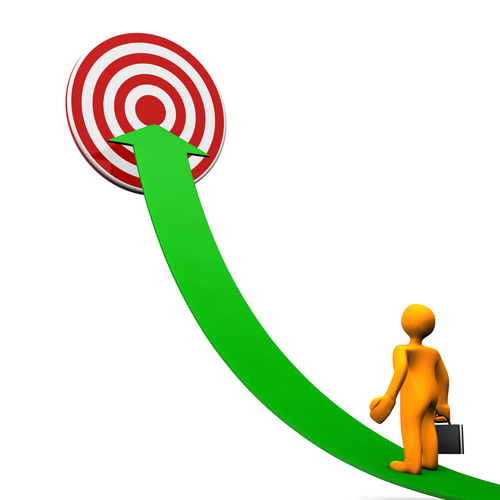 Target date funds focus on providing the investment assets you need by a specific future date. The fund managers gradually shift the combination of individual funds from a focus on more volatile growth funds to a more conservative focus on less volatile funds as the target date approaches. The underlying principle is that the more time you have to reach a specific goal, the greater the investment risk it's generally appropriate to take. As the target date approaches, the emphasis shifts to minimizing risk, sometimes providing income, and preserving wealth. However, the return on a target date fund fluctuates and there is no guarantee that a fund will meet its objective or provide the income you need. Target risk funds, on the other hand, maintain a consistent asset allocation over time — for example, all equity or all fixed-income funds — rather than gradually shifting their risk profiles. Investors with a specific risk tolerance can purchase shares of a fund with the confidence that the fund's strategy won't stray from its investment style. So whether you consider yourself a conservative, moderate, or aggressive investor, you can find target risk funds with a matching focus. You may also hear target date funds called lifecycle funds and target risk funds called lifestyle funds. And all target funds belong to a larger category called asset allocation funds. The money you invest is divided in proportion to the weight the managers assign to each fund in the portfolio. In a simplified example, if a target fund includes ten individual funds that are equally weighted, each time you invest, 10% of the total goes into each of the individual funds. Your return, or what you gain or lose on your investment, is determined by the combined results the individual funds achieve, minus fees and expenses. Each target date fund has a clear-cut investment objective — creating and then preserving wealth to help investors achieve a specific investment goal, usually a financially secure retirement. The fund managers pursue this objective by carefully modifying its asset allocation over time from an emphasis on a mix of equity funds designed to generate growth to a greater concentration on income and capital preservation funds. In fact, an investment company that offers target date funds doesn't offer just one, but a series of funds pegged to different dates, such as 2020, 2030, or 2040. The date is always part of the fund's name — like the XYZ 2040 Fund. When you select a fund, you typically choose the one whose date is closest to the date you expect to start withdrawing money. A suite of these funds offered by the same company often includes some of the same individual funds, though in different proportions. Not surprisingly, the portfolios of those with the closest and most distant maturity dates are the most dissimilar. You can find the list of funds that make up each portfolio in the fund's prospectus. The managers of a target date fund can also fine-tune the programmed balance between risk and return by adjusting the fund's holdings in response to changes in the economy. For example, one of funds that make up the overall target date fund may turn in an unusually strong performance over a period of time. If that means that the target date fund holds a larger percentage of that fund's assets than the managers planned for, they can rebalance the way new investments are allocated or take other steps to return to the allocation they intended to have. Many target date funds also keep a relatively small portion of their assets in cash. While the lower returns on cash can limit the fund's performance, keeping cash on hand allows fund managers to make new investments and redeem shares from investors who want to sell them without liquidating other assets and disrupting the allocation. A cautionary note: While a built-in time frame helps keep your investment planning on track, it's important to remember that target date funds are not customized to your individual situation. You can invest in a target date fund in consultation with your financial professional, in a tax-deferred, tax-free, or taxable account. In addition, you may find target date funds offered in your 401(k) or other employer-sponsored retirement plan. These funds are increasingly included among plan options, and employers who use automatic enrollment may select target date funds as the default investment. That's the one into which contributions go unless you choose an alternative. To use a target date fund in your traditional or Roth IRA, you must confirm that the brokerage firm, bank, mutual fund company, or other financial services company that serves as your IRA custodian offers target date funds. In a 401(k), the plan sponsor selects the target date funds that will be offered — generally those provided through the same investment company or companies whose other funds are available in the plan. You may also invest in a target date fund through a taxable account, especially if you're not eligible for an employer-sponsored plan and you've already contributed as much to your IRA as you can for the year. In this case, you purchase the target date fund as you would any other mutual fund. When you're considering a target date fund, it's important to make sure that the fund's holdings are diversified across different subclasses and include international as well as domestic funds. The equity portion of the portfolio should include funds that focus on a variety of market capitalizations. Similarly, the fixed income portion should include funds investing in different issuers, different terms, and different credit ratings. You can find these details and other essential information in the fund prospectus. It's a good idea to look not only at the roster of funds for the specific target date fund you'll select — say, 2040— but also at the rosters for funds that mature in 2025, 2030, and 2035.That will give you a sense of how the portfolio is likely to evolve as time goes by. Evaluating the performance of a target date fund can be more difficult than evaluating individual funds. Since different investment companies create their target date funds of funds with different combinations of individual funds, no single index is completely accurate as a benchmark for a target date fund's performance. One approach is to use relevant benchmarks to analyze the performance of the individual funds that make up a target date fund's overall portfolio. While you may not be certain what percentage of the target date fund's assets are allocated to a specific fund at any given time, if individual funds stack up favorably against their relative benchmarks, it's an indication that the target date fund is on track. The expense ratio of a target date fund includes fund management fees plus the fees for the individual funds. That means it may be a little higher than what you'd pay if you bought each of the funds in the portfolio separately. However, target date funds typically cost about the same as other actively managed funds of funds. You should carefully consider the fees listed in the fund's prospectus to make sure the target date fund is worth the cost. While higher fees reduce your returns, the benefit of having your retirement investing professionally managed may make a target date fund worthwhile. © 2016 by Lightbulb Press. All rights reserved. Print copies of the 2017 Texas Investor Guide are available upon request. Contact Robert Elder, Communications & Investor Education Coordinator, relder@ssb.texas.gov.